Well, it wasn’t bad…but it wasn’t outstanding. It was simply like a wreck that you’re driving by. You are just so nosey that you can’t help but to drive slower and watch what is going on, you keep going and going as far as you can just to see what is happening as an observer. Because these two people are absolutely off the chart CRAZY. And my crazy self was not wanting to look away for one second. The main things I enjoyed was the concept of the story and the dark story line itself. Oh! And the characters. Both of them are extremely messed up in their own specific ways but the author wrote them so well that they were actually appealing to me. Isn’t that so crazy? The authors writing was done so well that I actually LIKED psychopaths. That alone makes me a happy and satisfied reader. I am going to add a small spoiler right here though (for anyone who likes to be warned). I three starred this for a reason I promise! And that reason was that I had a really hard time with Con leaving Dulcie for THREE years with absolutely no word what so ever. And then when he did show back up, she didn’t even fight it. Just, gave right on in. Considering how badass Dulcie was and how destructive Stylo made her out to be, I wanted her to shove a little more. Resist. Push and push. I wanted to see that fight for her in Con. Soooo bad that I could hardly even stand it. I was even more so upset with the way it ended. I don’t know, I think I maybe just expected a much bigger shock and twist. I seen this ending coming from halfway through the book and with the way the book was structured and played out as a whole I was hoping that wasn’t the way it was going to end. But alas…sometimes I hate being right. Ultimately, I’m on the fence with this one. I didn’t hate it and I didn’t love it. I couldn’t stop reading it but I cringed. 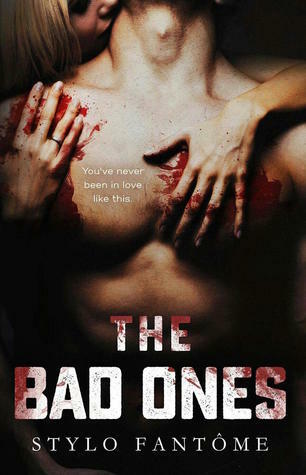 I want to recommend it to people who like psychopaths and dark reads. So, I will just leave it at that. Books turned to Disney movies.